Following on from the most successful Worldwide ICO (Initial Coin Offering) by crowd funding participation of over 120,000 investors, the British-developed Electroneum launched on Wednesday at midday. The cryptocurrency raised over $40 million (£30 million) over a six week fundraising campaign and it promises to be the most user-friendly, complete with wallet management and coin mining streamlined through a mobile app. 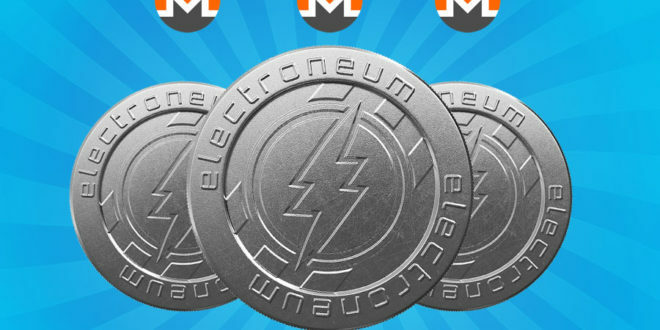 Electroneum has been founded with the aim of becoming the new, easy and secure way of buying mobile games, betting on live sports and sending money to friends. Leading provider of data protection solutions for business Datto, has announced it has finalised its acquisition by Vista Equity Partners, a leading investment firm focused on software, data and technology-enabled businesses. The acquisition, first announced in late October, and the simultaneous merger with Vista portfolio company Autotask, have been followed by an intensive integration between the companies. The result is a single entity designed to empower Managed Service Providers with Autotask’s in-demand IT business management offerings and Datto’s award-winning data protection solutions. Entatech creditors are set to recoup some of their lost cash, as the administrators get ready to sell off the collapsed disite’s Telford freehold. The sale of the freehold should be enough to pay creditors between 35-25 pence in the pound to unsecured creditors, according to administrator KPMG. The firm has already paid two of its three secured creditors in full and should be in a position to pay off the third after the sale goes through. In the report Chris Pole, joint administrator at KPMG, stated that unsecured creditors would be receiving something back from the failed firm. "We anticipate the unsecured creditors will receive a dividend of between 35-45 pence in the £, however this will be dependent on the timing and realisations achieved for the freehold property and conclusion of all asset realisations and associated costs," the report stated. The report also shared details of the stock being acquired by GNR Technology. 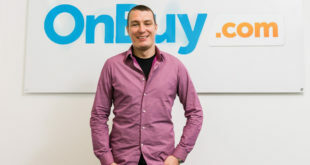 OnBuy.com, the site that has pitched itself as the UK alternative to Amazon, is offering sellers an early Christmas present as it launches a major TV campaign that looks to make the brand a household name. Sellers who sign up by the end of December will get the whole of 2018 fee-free, as opposed to the normal subscription fee of £19 a month. It comes soon after the news that the company has signed a deal with ITV for prime-time slots on all its channels across Christmas and New Year, with further TV advertising planned with ITV and Sky during 2018. It’s official: Toshiba’s drawn out legal battle with Western Digital is come to an end. (Or so we hope, as you never really know with this case.) After months of court hearings, legal threats and boardroom meetings Toshiba has thrashed out a deal to appease its noisy partner. In the end it’s good news for all concerned. Toshiba can finally focus all of its attentions on completing the sale of its memory chip unit to a consortium led by Bain capital and including Apple. 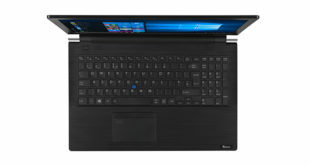 Meanwhile Western Digital – who never really threatened the sale with its legal battle – has been given assurances that it can continue using Toshiba’s future factories and chip supplies. In the end the two sides have agreed to end the conflict. As a result TMC and Western Digital will jointly fund the Fab 6 project, a flash chip factory being built at Yokkaichi, Japan, including the investment announced by Toshiba in October 2017. Western Digital will also participate in a new flash wafer fabrication facility that will be constructed in Iwate, Japan. WDC and Tosh will extend the terms of their joint-ventures: Flash Alliance will be extended to December 31, 2029, and Flash Forward to December 31, 2027. Toshiba and Western Digital are agreed on the sale of Toshiba’s subsidiary TMC to the Bain-led consortium (the biggie for Toshiba). And the two companies have agreed on mutual protections for their assets and confidential information in connection with the sale of TMC, and on collaborating to ensure the future success of TMC as a public company following an eventual IPO.